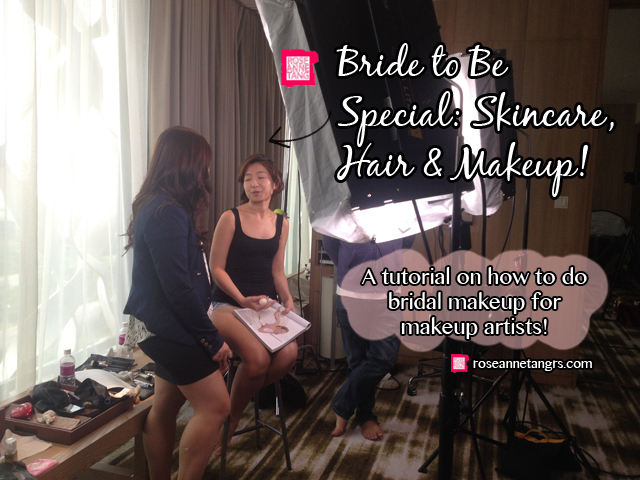 (3) Bride-To-Be Special: Skincare, Hair & Makeup! 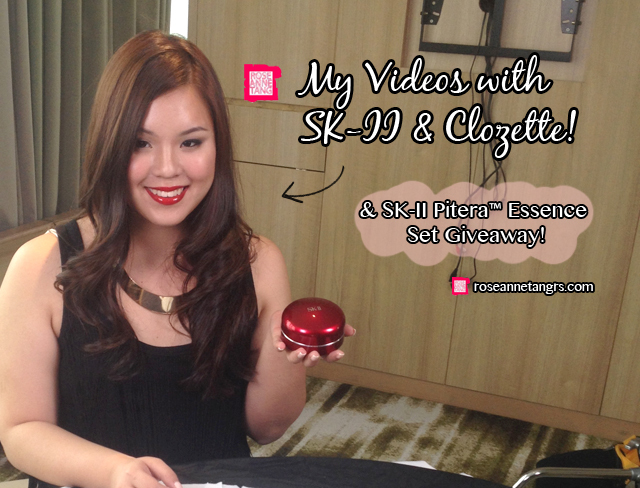 It was really fun to film these videos not only because the camera crew totally beat my at home set-up, but because I really do believe in SK-II products. I often get asked how I make my skin glow like it does and to be honest, it’s totally SK-II so I was very pleased to be one of their blogger ambassadors on Clozette. Today I thought I might show you the three videos and some behind the scenes shots! Hope you enjoy! the videos, they are very useful for the holidays coming up! 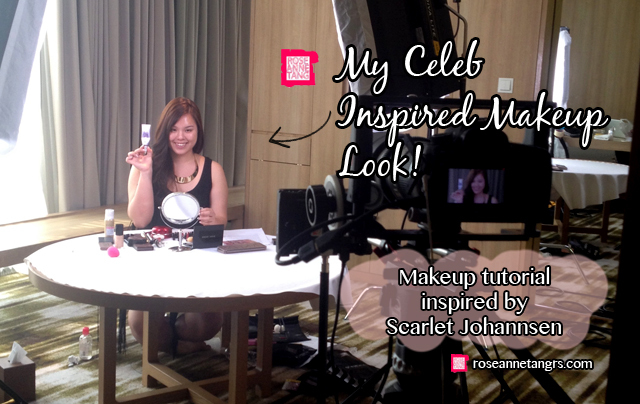 The first video is a Celebrity Inspired look that is great for the holidays! I chose Scarlet Johannsen because she’s absolutely gorgeous and while it was a challenge to fit her voluptuous lips and eyes onto my more “petite” facial features, I did it! Watch the video to see how I do it! The look includes a smokey grey and silver eye paired with a classy and glossy red lip. I absolutely love the look and hope you do too! Here’s my set-up! Although in the video it looks super clean and classic, there’s actually quite a nice make-up mess going on. I usually have all the make-up and brushes laid out for me before the video starts so you don’t see me rummaging through a bag! The next video is really cool because it’s the first time I’ve ever done make-up on a model….ON a video! You can watch me do make-up on Stella who is a bride to be! This is a great bridal makeup video if you’re a makeup artist or you just want a few pointers for your special day! It’s for sure a must-watch! Stella wanted a really classic and clean look for her wedding. She doesn’t wear make-up often so she didn’t want something over the top and unnatural. I did a bridal make-up look that adds just that perfect amount of definition while still embracing her already beautiful features! I also did Stella’s hair for the video! 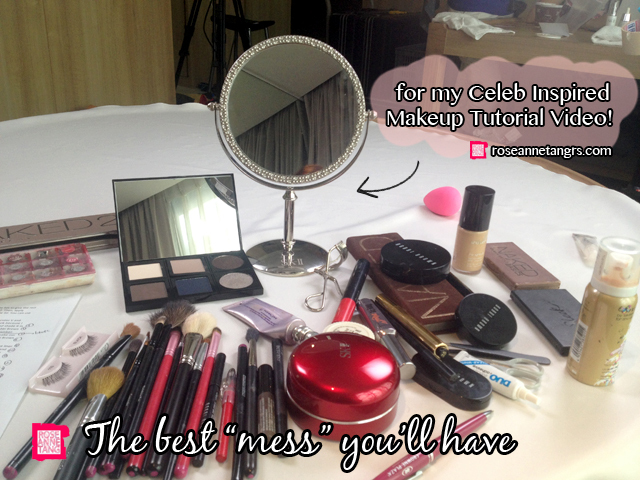 If you want to see the make-up though, you’ll have to click that play button! Enjoy! In the last video, I give you a Neckline Cheat Sheet or basically a guide to matching different tops and necklines with your necklaces. It’s the lowdown for what necklace shapes go well with your favourite collars – from turtlenecks to vnecks. All the jewellery is from my accessories online store at www.roseanne.sg so if you’re interested in any of them, do give the store a visit! 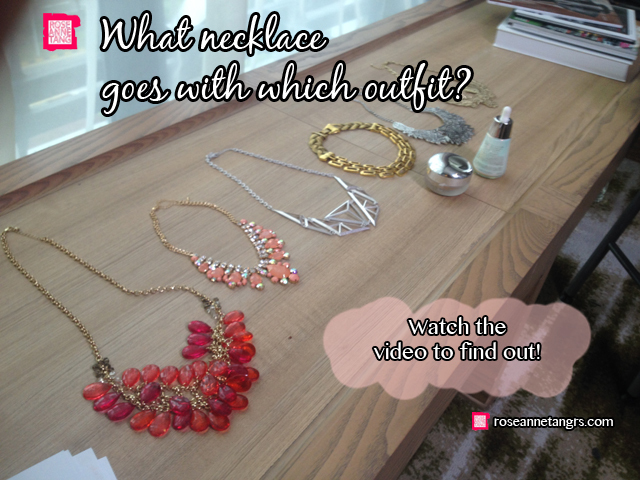 It was a really fun video and is really useful for mixing and matching your accessories! So be sure to watch it! I really hope you enjoy the videos and…. *drumroll please* I have a giveaway for all of you!! 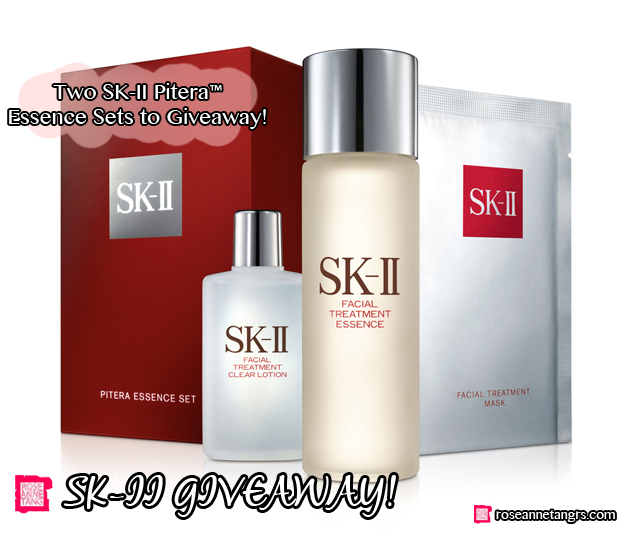 I love SK-II so much that I’m giving away two SK-II Pitera™ Essence Sets just in time for the holidays. It includes the facial treatment clear lotion, the famous facial treatment essence and my favourite mask – the facial treatment mask! All you have to do is answer to this question: “Which kind of necklace goes well with turtleneck tops?” HINT: Watch the videos to find the answer! Email the correct answer to contest@clozette.co, along with their full name, mobile number and email address. Email subject title should read “Win SK-II from roseannetangrs blog!” Clozette will pick two winners from the emails and send over your prizes. Contest ends on December 15, 2013! Good luck everyone and I hope you enjoyed the videos! How To Make a LUSH Love Lettuce Face Mask! I have at least listened to it 5 times, I just cant catch the word Bold sometimes necklace for turtle neck. the metal batik necklace is beautiful.